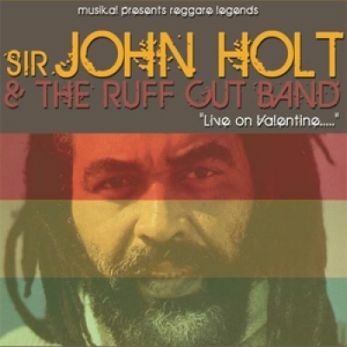 SIR JOHN (FLABBA) HOLT & THE RUFF CUT BAND LIVE @ CONCORDE2 FOR A VALENTINES SPECIAL!!! On an island renowned for its superb vocalists and composers, John Holt still stands head and shoulders above the rest as one of Jamaica's sweetest singers and enduring songwriters. He has voiced and penned so many of the country's classics that in a way, Holt has defined the island's sound. He achieved prominence in his home country as lead singer of The Paragons and they cut a succession of singles for Duke Reid at his Treasure Isle Studio and enjoyed a string of hits, including "Ali Baba", "Tonight", "I See Your Face", and the Holt penned "The Tide Is High" (later made famous by Blondie and also covered by Atomic Kitten). "Wear You To The Ball" was another of his hits with The Paragons, and hit the charts again when U-Roy added a Deejay verse to it. During his time with the Paragons, he also recorded solo material for Studio One (including "Fancy Make-up", "A Love I Can Feel", "Let's Build Our Dreams", and "OK Fred") and Prince Buster ("Oh Girl", and "My Heart Is Gone"). All these hits and more will be played I'm sure, so make sure you get down to catch this legend in the flesh!